I darted out of a lecture theatre at 10am on Friday morning in order to book a ticket to a Bill Callahan show in February next year. The day of talks concerned the life of Chögyam Trungpa, and came to a close with a rendition of a Georgian folk song in three part vocal harmony. It was a celebratory song, but with a heavy and mournful sadness, an eerie repose which elevated the joy. Rarefied it. It was a genuinely touching experience, soaring over the wake of another strange day of mixed feelings, crossing a language barrier that had encircled and stalked the day’s play. 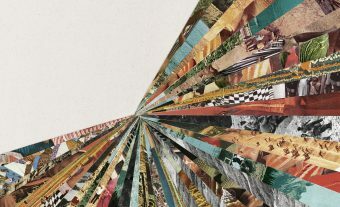 I often feel this wordless communication when listening to Bill Callahan, which is a sensation all the more rare for the fact that I also understand the words, rolling out like slow dice down an endless hill. It’s right and good that his wit and his playful twists are so celebrated, but his simplicity is remarkable. It’s not a new trait perhaps, but when I finally leaned over the bare bulb of that post-gallows humour, there was a being very willing to be quite open and direct sitting at the table with me. The lively tension that surfaces in ‘Spring’ feels like a way-marker and a warning sign on the slowly darkening path of this album. Dream River rolls out with ‘The Sing’, a classic Callahan meander strewn with meadow and fiddle; ‘The Drover’ on a less dramatic day. It then moves through some exceptionally playful bounty like ‘Javelin’ to what feels like a centrepiece with ‘Summer Painter’, and closes with a pair of songs that seem somehow unburdened of what had been brewing all along. A little fanciful I know, and a little loose, but it wouldn’t be right if it was too tight. The lone electric guitar intro to ‘Ride My Arrow’, which precedes ‘Summer Painter’, lies a little wounded, but Mr C picks it up and it ascends with a resilient buoyancy and flashes of visceral imagery: his need for the taste of ‘pilgrim guts’ every now and then. The production of this record is a seamless source of delight. To these ears it would appear that the rolling gait of A River Ain’t Too Much To Love, the warmth and nuance of Sometimes I Wish We Were An Eagle and the broad palette of his last record, Apocalypse, have bedded down together in the compost heap and matured into a very natural, diverse, and fertile soil for his strange gardening. A funny woodblock percussion sound surfaces frequently, aiding the ominous and the unburdened alike. The lead electric guitar playing is lyrical and weighty but never overplayed. With the use of both dubby and downer-country reverbs [indeed, the album was preceded by a dub 12″ – see Soundcloud link above] the lead guitar provides all sorts of dimensional depth, while the flutes and violins dance close to Callahan’s shimmering electric strums. There is something in the cohesive sound of this record which brings Van Morrison’s Astral Weeks to mind. All of the musicians have their idiosyncrasies on show – a fine display of imagination that is easy to miss in the shadow of songwriter like this. ‘Summer Painter’ is rich in potential allegory, rising to intensely implied significance with the arrival of a brutal storm. It sweeps without mercy or malice through the harbour town that the singer has just left after a summer spent painting boats. The hurricane arrives to tear apart a sweltering, nervous soul-brood of quivering guitar, sweating organs and softly pleading flute. The quivering guitars become fervent and fearsome, the flute quits the pleading and screams, and Callahan is sounding deeply tremulous: Really very afraid. He’d painted the rich men’s folly’s and the poor men’s dreams, as he puts it. Then it’s back to the quivering heat, back to the sultry daydream, but beaten and bruised. I have always enjoyed his knack for laying down allegory as naked as can be, ‘Too Many Birds’ coming to mind, or perhaps ‘Rock Bottom Riser’, whilst also retaining the power to pull an imagination deep into the landscape and imagery of the narrative. On this record he seems to achieve this in a more profound way, whilst also being more subtle in both disciplines. 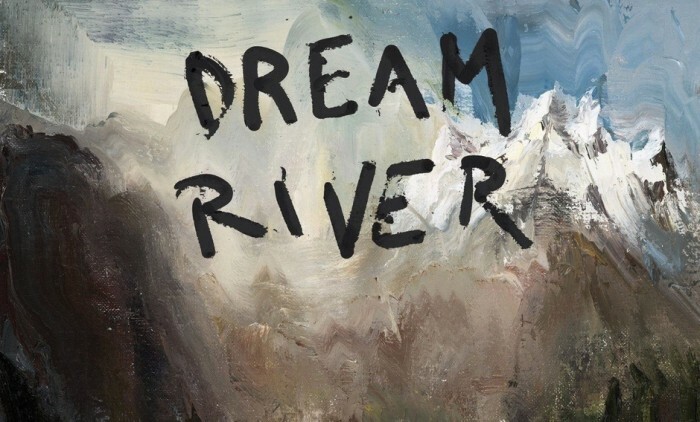 For this reason, and for the sumptuous and ever-unfurling depth of the production, ‘Dream River’ is drawing me back again and again, with increasing wonder and curiosity. ‘Winter Road’ closes everything down with so much heart. There is so much fun too; hints of other songs (a little taste of ‘Michael Row the Boat Ashore’ crops up early on). On ‘Seagull’, the woozy waltz that follows ‘Summer Painter’, he echoes the last utterance of a line, “bar room, bar room” to what sounds like the slinky step of the Pink Panther theme tune, but he stops just short of making it explicit. If indeed it ever was. A good friend of mine has a photo of the Tibetan wanderer Chögyam Trungpa in his rather weather-beaten old Porsche 944. But in this small shrine, which has been complicit in many a speeding offence, the Pink Panther takes precedence, looking out over a rusting bonnet adorned with a red star in honour of Hugo Chavez. Wearing it on the sleeves, but rolling them up and getting on with it too – a smile for the risk of one more glance at love in the murk. 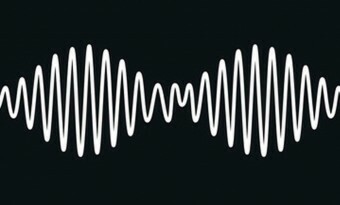 AM has been billed as Arctic Monkeys' steamy, tight-trousered rock'n'roll album. Well, that's the idea anyway - so how does it fare?